The bidding process for Hulu is slimming down and reports are now circulating that Yahoo, Inc. has dropped out of the process after placing a big in the vicinity of $1 billion to $2 billion. The Wall Street Journal revealed Yahoo as the recent “mystery bidder” and then announced that they had exited the bidding process entirely citing the firing of Carol Bartz and a possible sale of the company as reasons for their exit. Still believed to be in the running are Amazon, Dish Network and Google. Amazon and Dish Network are believed to have placed bids between $1.5 billion to $2 billion while Google’s bid is believed to be much higher while including special considerations not being offered to the other bidders. At this point it’s still unclear if Hulu will end up reaching an agreement with any of the remaining companies, if a deal is reached it’s expected to occur in the next few weeks. Regardless of who wins the bidding process it’s still unclear how easily an outside company will be able to work with major TV studios in the future to ensure that content continues to flow to the Hulu network. No parties involved in the bidding process have released comments about talks at this time. 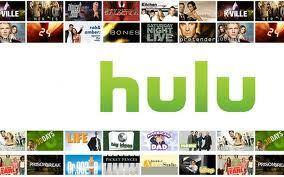 Which company do you think would do Hulu the most justice if a winning big was selected.